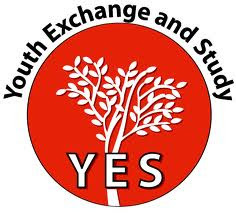 The Youth Exchange and Study (YES) Program was established in October 2002 to provide scholarships for high school students (15-17 years of age) from countries with significant Muslim populations, including Indonesia, to spend up to one academic year in the United States. YES students live with host families, attend high school, engage in activities to learn about America, acquire leadership skills, and help educate Americans about their countries and cultures. In 2007, YES Abroad was established to provide a similar experience for U.S. students (15-18 years of age) in selected YES countries. Yayasan Bina Antarbudaya, along with the U.S. Embassy in Jakarta, manages the YES program in Indonesia. Over 500 Indonesians have participated in this program to date. Demikian kami sampaikan tentang Kennedy-Lugar Youth Exchange and Study Program, Indonesia – USA semoga informasi tentang Kennedy-Lugar Youth Exchange and Study Program, Indonesia – USA ini bermanfaat.